To give hope and opportunity to underprivileged young African women, through the power of international lacrosse, to achieve a better future for themselves and their communities. Our primary aim is to provide training on a regular basis for hundreds of young disadvantaged Kenyan women. These sessions not only give these girls a respite from their everyday lives, but also gives them an opportunity to build friendships, get life mentoring and receive health education and screening. Most importantly, we are able to provide them with food, water and basic necessities that we take for granted but are luxuries to our Kenyan lacrosse athletes. Kenya has now been recognised as the 54th lacrosse nation by the Federation of International Lacrosse and has received awards for the development of the game on the African continent. Our current target is to identify potential talent and ambitious individuals to develop them into an international lacrosse team. The aim is to take Team Kenya to Canada for the U19 Women’s World Championships in 2019. No female African team has achieved this goal– this will be a WORLD FIRST. If we achieve this, then Team Kenya will have played a vital role in lacrosse being eligible for Olympic status, as every continent will be playing the sport. Our target will then be to get Team Kenya to the Olympics in Los Angeles 2028. Our long term aim is to provide an opportunity for young women to play lacrosse throughout Kenya. We hope to establish opportunities, through our connections, for all our athletes to find employment both during and after playing for Kenya Lacrosse and to give them necessary life skills to assist them in the future. We will also be encouraging our players to be the coaches of the future, increasing the depth of lacrosse skill and knowledge of the game throughout Kenya. 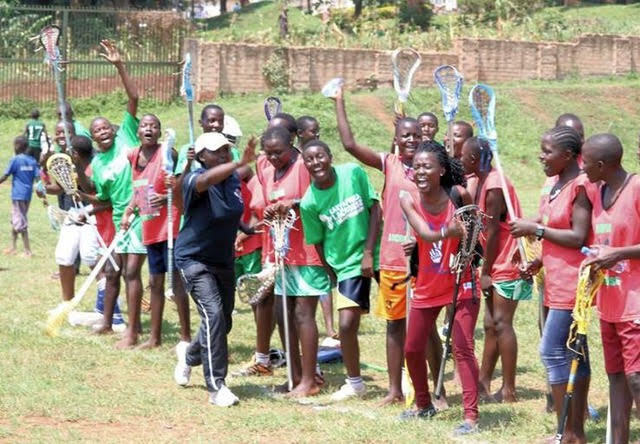 Kenya Lacrosse is extremely proud to providing coaching for approximately 400 athletes as the sport has now been introduced into an academy in Nairobi and 14 schools around Western Kenya. These have been split into 4 regions which come together to train and compete, as often as finances permit. From these teams the top 30 athletes are invited to participate in elite squad weekends. We employ a resident coach, a strength and conditioning trainer and we have international volunteer coaches who join our national team camps run several times a year. These volunteers have so far come from the UK, USA and Australia to assist but we welcome anyone with relevant experience. If you are interested in volunteering please click this link (need a link to the volunteering page). We have also run separate community clinics to clear ‘jiggers disease’ – the depilating condition that can severely affect our athlete’s feet and their families and help at local orphanges. Our athletes are from hugely disadvantaged backgrounds, it’s not uncommon for them to have lost one or both parents. The majority arrive at training sessions without food, water or kit and can't afford the basic bus fare of $1.20 which means they walk a great distance to get to the fields (maybe a link to some of the girls stories). Often, some of them are excluded from school if their parents/guardians haven't paid for school fees, (in Kenya parents/guardians are required to pay for utilities and non-teaching staff, in some schools they also have to pay for food and uniforms. The fee is not capped). The reality is that if they are not at school they can’t play lacrosse. The even harsher reality is that if there is very limited food for our players and their siblings at home and if they don't get to lacrosse they are not always fed. As you can imagine, knowing that our athletes have absolutely no means of providing even water or the bus fare for their training sessions, it’s a sad fact that they are unable to contribute in any way to the funding needed to support them as an international player. Provide our athletes with a performance programme to help them develop skills and enhance their natural sporting ability. To organise squad weekends and Elite training camps tailored to develop team cohesion and ready for competition. To ensure all our athletes are fed, watered and provided with basic necessities such as sports bras, toothpaste and sanitary products. To carry out health workshops outlining essential health and personal hygiene information. To give educational workshops focusing on developing life skills to assist with communication and employability. To provide trainers, sports clothing and lacrosse sticks. N.B. Crucially, we have identified that sport gives the girls positive respect in their communities, particularly in the way they are treated by men. The sports kit is a visual reminder to their community that they are part of a sports team and reinforces this positive impact. In 2007 Storm Trentham introduced lacrosse to Kenya in collaboration with Sporting Change International and DBA Sports. It was a decision that was to have a long lasting impact, one that even she had not imagined. Storm believes that sport is inspiring, rewarding, motivating and most significantly, she has learnt, it can not only be life changing but lifesaving. Her career as both international player, coach and manager led her on an extraordinary journey. By 2015, Storm had 40 international caps for Wales, as a school coach her team had won the UK National Schools Championship four times in four years, with 8 players representing their countries in the 2011 U19 World Championships. In autumn 2016 she was appointed to coach a Russell Group university team, in her first season she got them to the British University Championship final for the first time in their history. Storm had coached the U19 Wales lacrosse teams at two World Championship's - achieving a top five in the world finish and for this she was awarded the Heart of Lacrosse by the Federation of International Lacrosse. She had successfully set up a coaching programme for approximately 400 athletes in Kenya. Storm felt she had reached a cross roads, on the one hand she could take a break from the sport but, on the other, how could she walk away from a game that offered so much? It was a pivotal moment and she knew she had another challenge left in her. What if the power of international sport could be played in a new arena, one that would change and save live. Storm wanted to make a significant difference. Why not inspire and train a Kenyan team to compete in lacrosse on new level? Why not bring hope and a future to a team of players who face extreme poverty and hardship? Why not make history by bringing the first female African team onto an international stage and play an integral part in achieving Olympic status for lacrosse whilst saving lives? It was time to seriously give back to a sport that had given her so much. Storm is an extremely talented international lacrosse coach, manager and player for Wales. She has coached at national school level in the UK. Her Godolphin school team won the National Schools Championship four times in four years. Nine of her athletes went on to represent their country at the World Championships. Her experience as a coach also led a Russell Group university to the British University Championship final for the first time in their history. Storm is founder and CEO of DBA Sports, a company that focuses on sports apparel and athlete management. Her unique combination of a passion for the sport, gritty determination, endless energy and natural charisma continues to underpin the success of Kenya Lacrosse. Carolyn started her career as a Buyer for Marks and Spencer in the UK, she went on to head up the buying and distribution team for a chain of opticians with 52 branches. More recently Carolyn has been managing the marketing campaigns for an independent real estate agent. Both her daughters have played lacrosse for many years at international level and are volunteering as coaches for Kenya. The combination of systems management, marketing and having supported her girls through countless lacrosse matches, tours and training camps means she is an ideal candidate to make a positive contribution to Kenya Lacrosse. 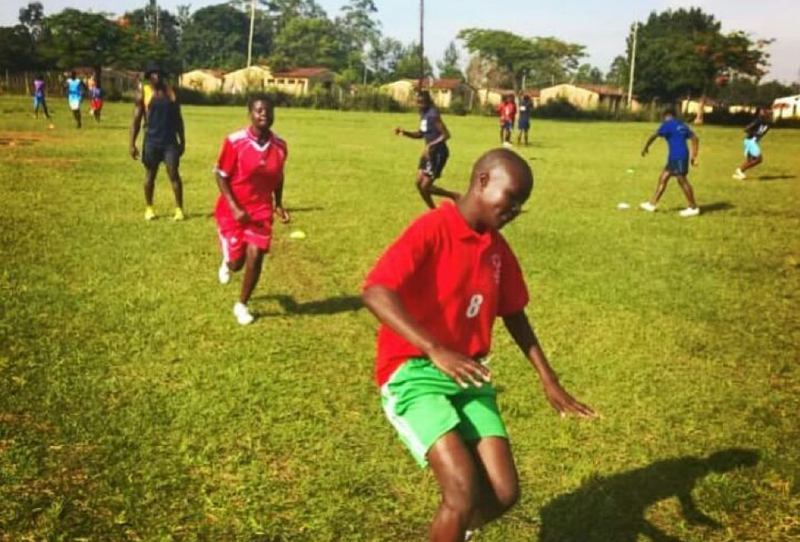 Hassan is in his final year at the Kenyatta University his ambition is to become either a professional strength and conditioning coach or rugby player. He has a passion for sport and is currently playing for the Black Blad rugby club, whilst coaching the U19 Women’s Kenya Lacrosse team. He has also taught English and Biology at St Joseph High School during his university holidays. These experiences have given him an excellent skill set for coaching. He is able to understand the physical requirements our team needs to perform at a high level combined with the communication skills necessary to ensure the importance of his training is understood.